Fresh Invest are proud to offer you this superb high yielding property investment opportunity in a superb location in the north west. We are proud to offer you this unique property investment opportunity burrowed in the cosy town of Swinton. 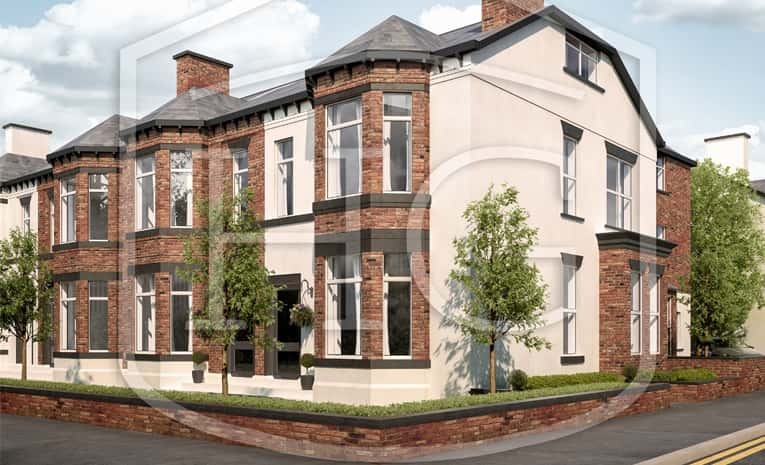 Chorley Road is a modern refresh of an old 3 story building with 14 freshly converted modern rooms. The property has a strong rental yield with a high rental income per annum. As this investment is off-plan Fresh Invest have structured it in a way where the investor completes on the property as is and engages the developer in a build contract through the build schedule. INSURANCE – Ensuring you are fully aware of the procedures and the who, what, when and how your investments are insured. SPEED – We turn around projects in a third of the time compared to our competitors, find out why. COMMUNICATIONS – During any build, our Head Builder will be gathering bi-weekly updates and emailing them to you. LETTINGS AGENCY, TENANCY & PAYMENTS – Our award winning lettings agency (created 10 years ago due to lack of quality in the market) manage property to ensure maximum rental returns. CONTRACTS & CAPITAL APPRECIATION – Understand our contract timelines and structures that aim to ensure capital appreciation is built into your investment from day one.